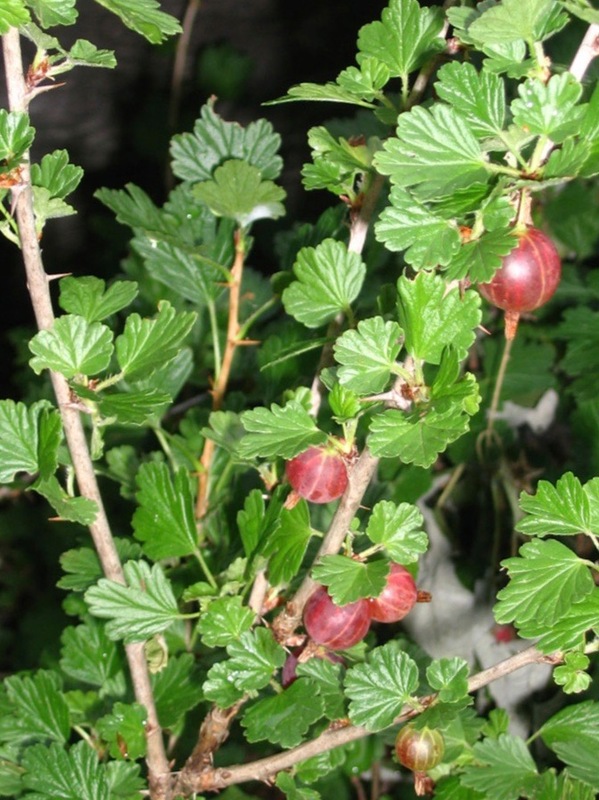 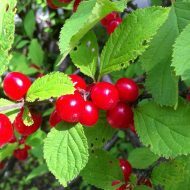 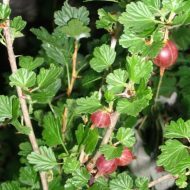 Hinnomaki Red Gooseberry is an ornamental fruit bearing shrub. 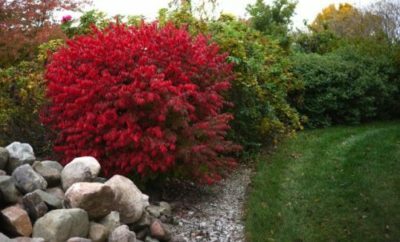 White flowers bloom in the spring and green foliage turns to bright red in the fall. 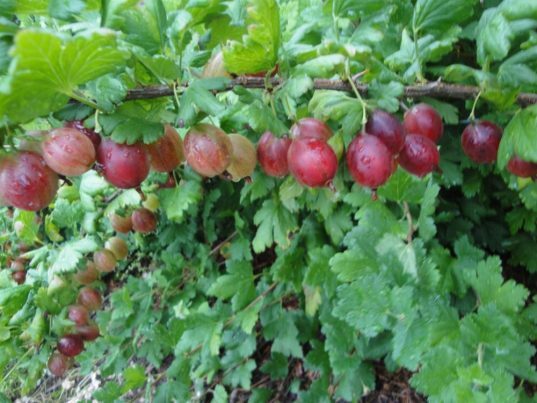 This varity’s crop yields a beautiful dark red fruit with a tangy skin and a sweet flesh. 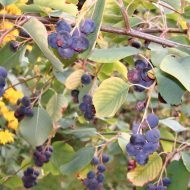 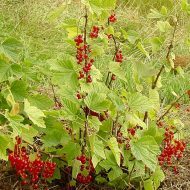 Unlike ofther goosberries it will produce fruit in the first year. Great eaten fresh or prepared in pies, preserves or other dishes.